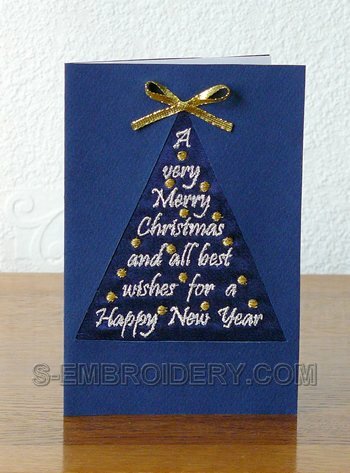 A nice Christmas greeting machine embroidery design. You can use it to create your custom hand-made Christmas greeting cards. This embroidery is available in 2 sizes.